Patricia Dunn is a trained sewing instructor! That means she is S&CA, Sewing and Craft Alliance certified; as an added bonus Patricia is also a Martha Pullen certified teacher, a Sulky of America licensed teacher, a Judy Kessinger certified teacher and a Burda certified teacher. Patricia graduated with an Applied Associate Degree in Fashion Design from HCC Central Campus, and was a professor in the HCC Fashion Design Department teaching ready-to-wear, alteration and computer apparel classes. Patricia is also a pattern maker for Digital Stitches TX, another division of Sew Nice and Easy. 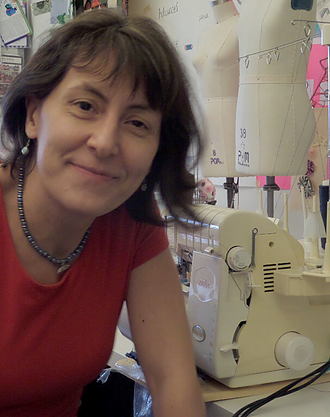 Needless to say Patricia specializes in sewing classes for beginner and intermediate students of all ages.